Sirqul Engagement-as-a-Service (EaaS) IoT Platform — Sirqul, Inc.
Cre­at­ing engag­ing and pop­u­lar appli­ca­tion solu­tions is not easy. There’s the User Inter­face, there is the client device log­ic, there is the back­end server log­ic, there is mak­ing sure that the actu­al code writ­ten will match the needs and goals of the busi­ness, and there is the iden­ti­fi­ca­tion and assign­ment of the right team of devel­op­ers that can make your vision come to a real­i­ty, whether the mobile is Mobile, IoT, Loca­tion-Based, Pay­ments, or based upon pres­ence, con­nec­tions, per­son­al­iza­tion, machine learn­ing, or game the­o­ry. Being able to uti­lize core com­po­nents and ser­vices that help speed up deliv­ery, reduce cost, and enable your team to focus on the dif­fer­en­ti­at­ed offer­ings vs. the com­mod­i­ty plumb­ing is essen­tial. 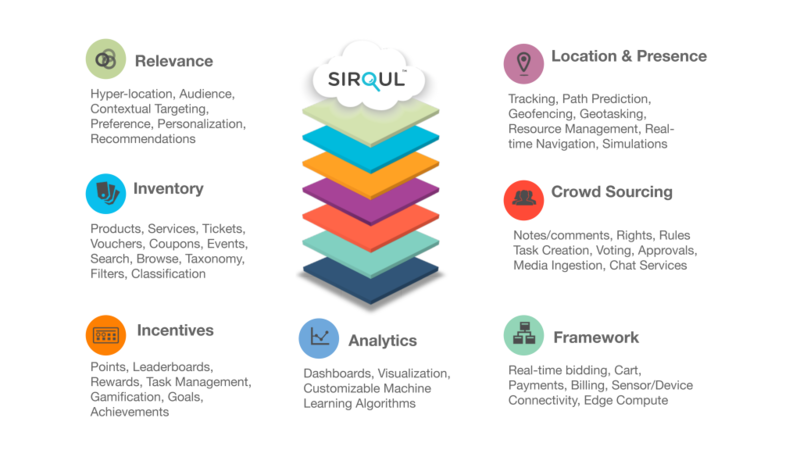 Sirqul has spent years break­ing down pop­u­lar appli­ca­tions, solu­tions, and offer­ings into their core com­po­nent ser­vices in order to provide our cus­tomers, 3rd par­ty devel­op­ers, and users the largest selec­tion of inter­work­ing APIs pos­si­ble with­in a sin­gle solu­tion. By focus­ing on the core prim­i­tive ser­vices that have been proven to be com­bined like LEGOs to cre­ate games, social net­works, logis­tics apps, com­merce offer­ings, per­son­al­iza­tion, and a pletho­ra of oth­er pop­u­lar appli­ca­tions in the var­i­ous app stores, Sirqul has cre­at­ed a plat­form for rapid appli­ca­tion devel­op­ment like no oth­er. Sirqul’s Engage­ment-as-a-Ser­vice plat­form has been named “EaaS” (pro­nounced “Ease”) because it focus­es on Engage­ment, Empow­er­ment, Enable­ment, Effi­cien­cy, Enter­tain­ment, and its Ease of Use. By focus­ing on the plumb­ing, the mid­dle­ware ser­vices that enable devel­op­ers to cre­ate cus­tom solu­tions with­out hav­ing to recre­ate the wheel, Sirqul is mak­ing it pos­si­ble for busi­ness­es to iden­ti­fy and ben­e­fit from new rev­enue streams, to reduce cost, and most impor­tant­ly to reduce time to mar­ket. 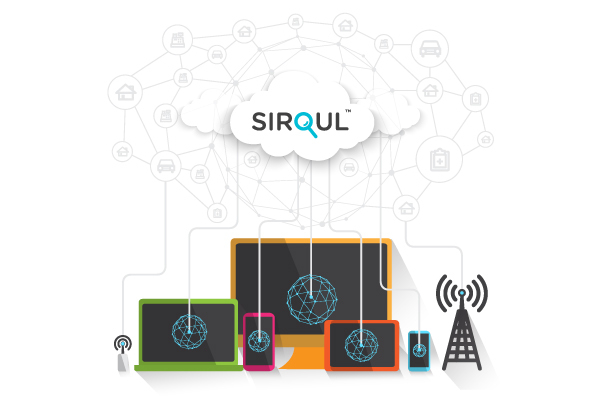 Sirqul’s 80 Ser­vices, 400+ APIs, 3 dis­tinct IoT hard­ware pro­duct offer­ings, and over 30 cus­tomiz­able, skinnable, native appli­ca­tion tem­plates stands out com­pared to oth­er IoT and applca­tion plat­form providers’ solu­tions. By stay­ing device and pro­to­col agnos­tic, Sirqul has found that it pro­vides a best-in-class APIs and tools built on a com­plete­ly mod­u­lar plat­form that those who want to own or aug­ment an exist­ing ecosys­tem can use out of the box. Offer­ing machine learn­ing intel­li­gence, sim­u­la­tion, trig­gers, and rules engi­nes that can be cus­tomized via graph­i­cal pro­gram­ming with­in the browser fur­ther sep­a­rates EaaS from the rest and makes it unique­ly capa­ble of seam­less­ly empow­er­ing solu­tions run­ning at the edge to the cloud. What can I do with EaaS — Engagement as a Service? Interested in learning more about EaaS?